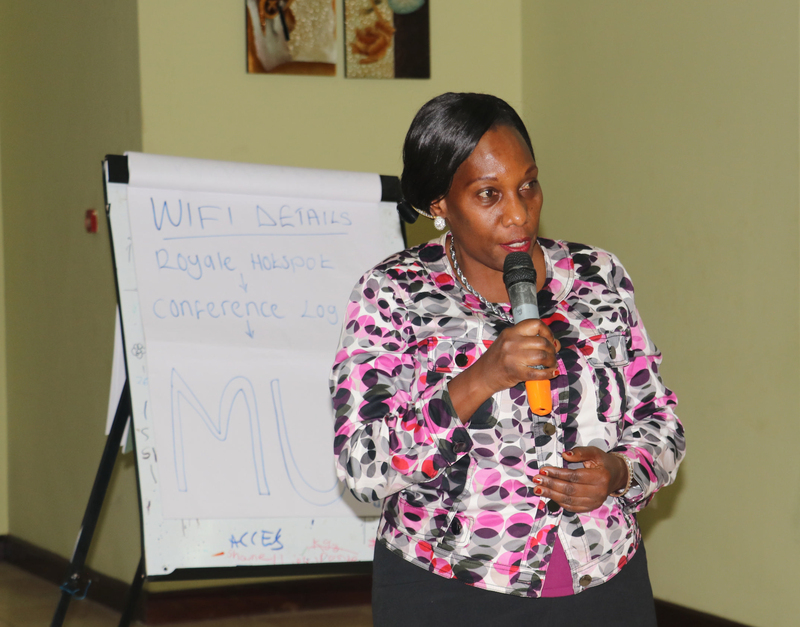 Researchers at Makerere University School of Public Health have been urged to inform with evidence the ongoing policy formulation of the community health extensions workers’ strategy. 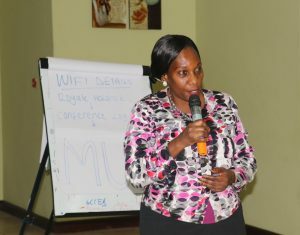 The call came from the Commissioner for Planning at Uganda’s Health ministry Dr Sarah Byakika (right) at the dissemination of findings from a two-year pilot study that explored the use of community score cards to improve maternal and newborn health service delivery in the eastern district of Kibuku. “Being a community-based tool. It is a tool that we can adapt to strengthen the new policy of community extension workers that is being introduced by the ministry of health. The CHEWS need such simple tools to be able to monitor their impact or progress but also be able to engage the communities’” said Dr Byakika. 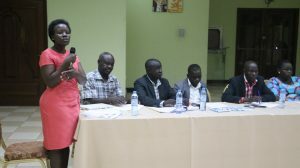 This study by Makerere University School of Public Health in partnership with Kibuku, the Research in Gender and Ethics (RiNGS) Consortium and the Future Health Systems Research Consortium explored the use of a community scorecard to improve maternal and newborn health service delivery in Kibuku. According to Dr Elizabeth Ekirapa-Kiracho, the principal investigator, the project enabled community to identify and prioritise their problems.